- push button tail switch cycles between 3 power setting. 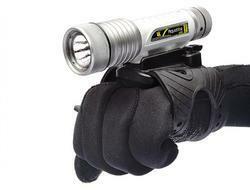 We have all types of Underwater Equipment. We have Scuba Diving gear items including masks, snorkels, regulators, wet suits, fins, goggles, Boots, Gloves and other diving equipment at best prices. 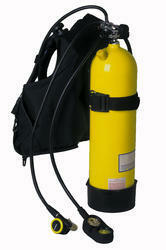 We have diving Suit, Self Contained Breathing Apparatus including Cylinders, Valve, Masks, Backpack, Air Tank, etc. Clients can avail from us an astonishing range of DH – 249757. These Diving Helmets are available in different sizes and colors as per the client specifications. Our product range is manufactured from superior quality metal like copper and brass and is valued for its quality standards and longer service life. We are reputed manufacturers and suppliers of supreme quality Diver's Helmet. These products are manufactured under the guidance of our skilled craftsmen that ensure their high quality. We also offer customization services as per the clients specifications and offer them at affordable prices. We bring forth the advanced Marine Equipment for the global clients that are acquired from the renowned sources. Designed to perfection, our Marine Equipment is high in demand in all over the market. Our variety of marine equipment is available at reasonable prices. Our beautifully handcrafted sea diver's diving helmet is a complete theme of nautical flair. We have tried to make it as an original antique look. This is a reproduction diving helmet & not wearable. Being the leading names in the industry, we offer world-class array of Underwater Lift Bag that are manufactured with accuracy. Our entire product range is classy in appearance and can be easily inflated in the desired style. We deliver them in varied sizes and come within budgetary limitations. We are manufacturer of Diving Full Equipment. - Diving suits, diving mask, fins, snorkel etc. - Underwater camera, strobe light.